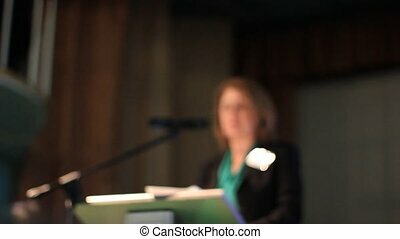 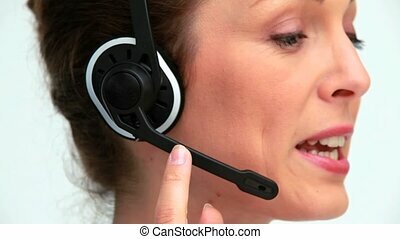 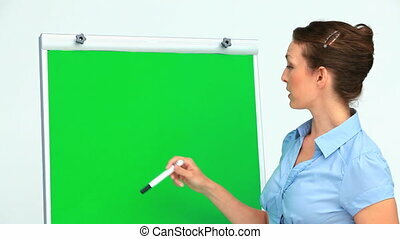 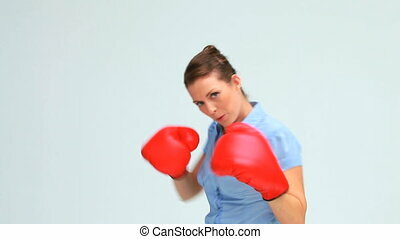 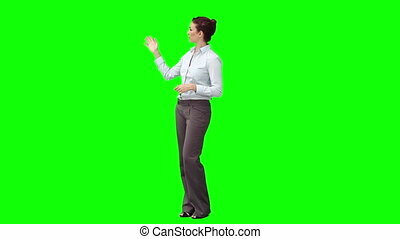 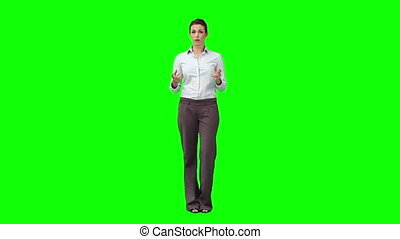 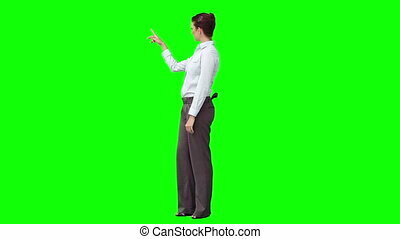 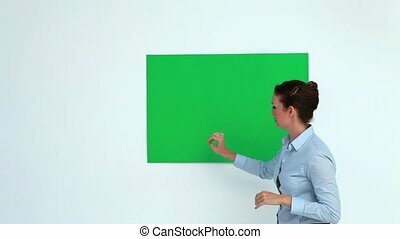 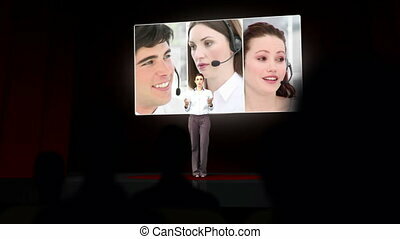 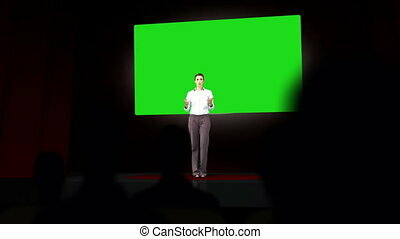 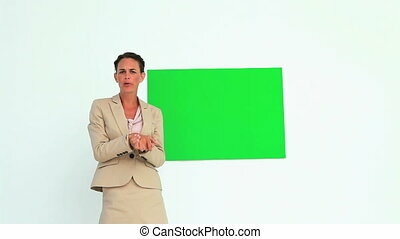 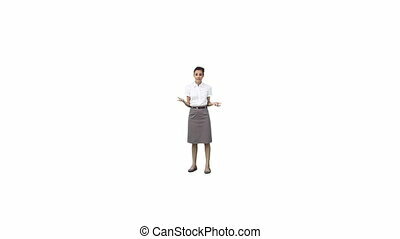 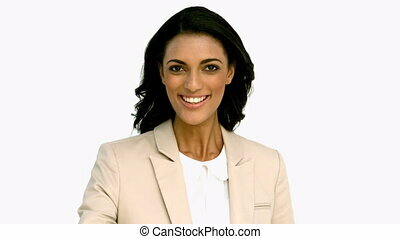 Businesswoman giving presentation against white background. 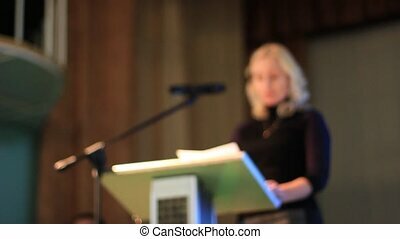 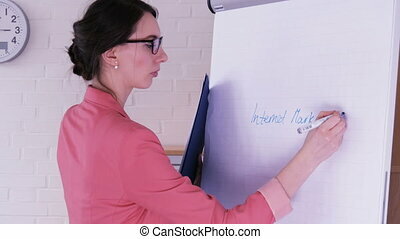 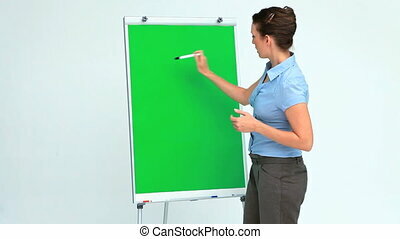 Serious businesswoman giving presentation standing in front of flipchart with pen in her hand. 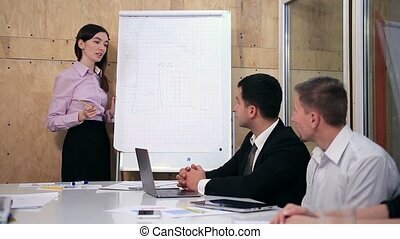 She is turning to her work colleagues while explaining the diagram. 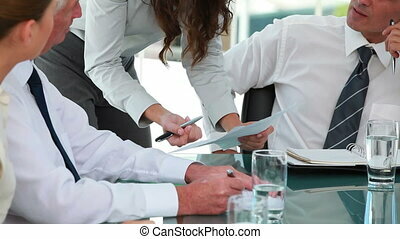 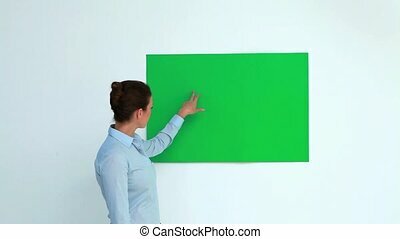 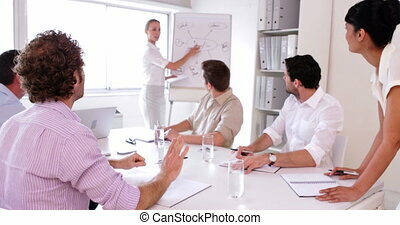 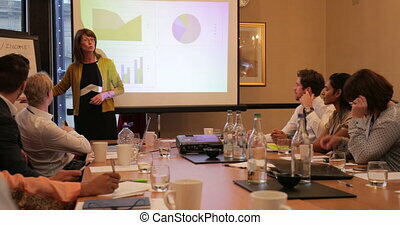 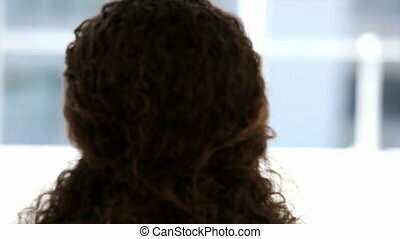 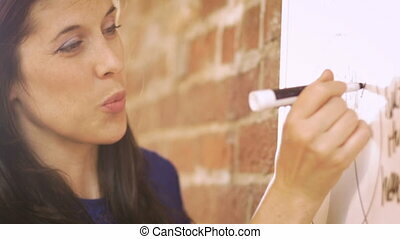 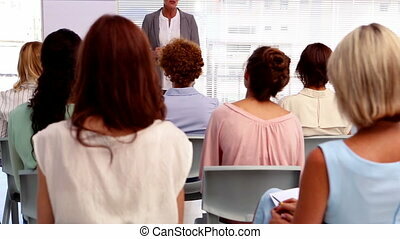 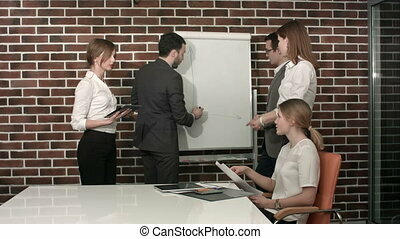 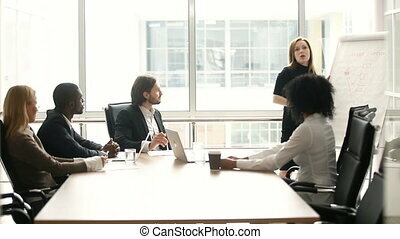 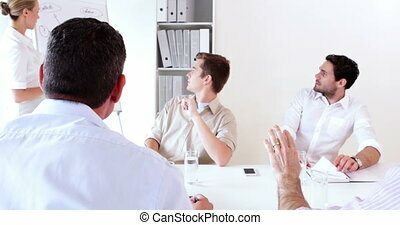 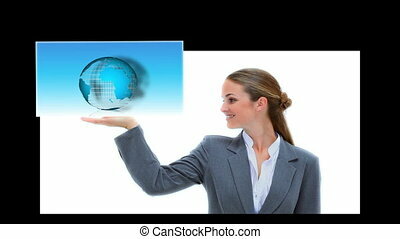 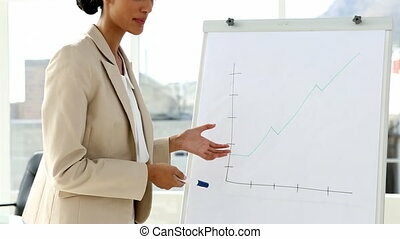 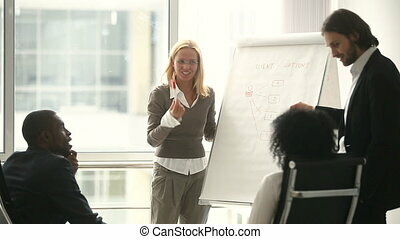 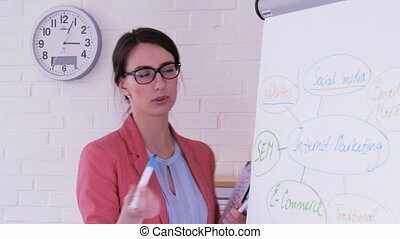 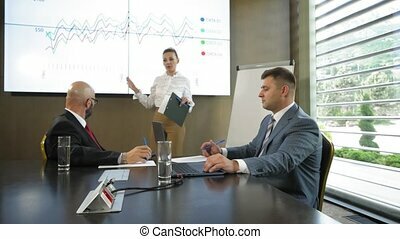 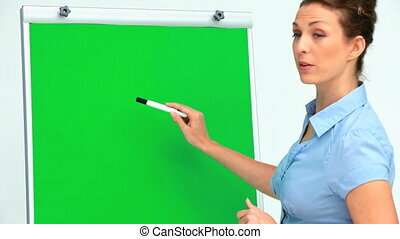 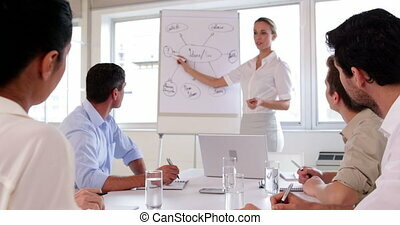 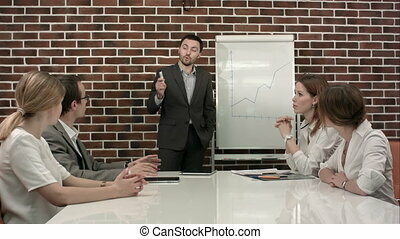 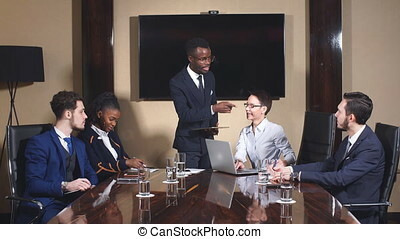 Female pointing to flipchart during presentation to business partners in office.